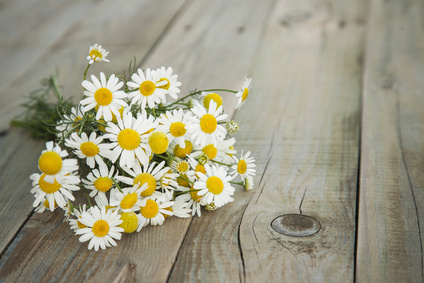 Off the Beaten Path: I Cried Most Every Day. You, Too? I Cried Most Every Day. You, Too? I'm not sure exactly what I was doing a year ago today, but I'm almost certain the day included some tears. I know I probably cried tears of hurt and loss a year ago today because I cried most every day for about a year. Following a significant change in an important relationship, my emotions weighed heavy and elicited tears daily for about a year. And I grew weary of hurting and crying and feeling the weight of my pain. There were days that the best I could do was get out of bed, have my time in the morning with the Lord and then plod through the routine of the day. When my emotions get the best of me and begin to call the shots, I realize I have given them too much authority in my life. But when I try to shove them off and get free from them...I can't. They're too heavy to lift. Are your emotions ruling you? Are they weighing so heavy on your heart that they have also begun to rule you physically and spiritually? And are they too heavy for you to lift them off? I understand. Jesus understands. He created us to be emotional beings. And He is well acquainted with the power of grief and anxiety and hurt. Luke 22: 39-44 gives an account of Jesus being weighed down in His heart with great emotion...to the point that it almost kept Him from moving forward. And He came out and proceeded as was His custom to the Mount of Olives; and the disciples also followed Him. 40 When He arrived at the place, He said to them, “Pray that you may not enter into temptation.” 41 And He withdrew from them about a stone’s throw, and He knelt down and began to pray,42 saying, “Father, if You are willing, remove this cup from Me; yet not My will, but Yours be done.” 43 [a]Now an angel from heaven appeared to Him, strengthening Him. 44 And being in agony He was praying very fervently; and His sweat became like drops of blood, falling down upon the ground. According to the Bible, Jesus' emotions - sorrow, grief, dread, hurt - caused Him to be "in agony." He was weighed down with emotion and knew He couldn't take another step toward the cross for which He had come to earth if He did not stop and receive fortification from His Father. I found great and soothing relief from my heavy emotions over time. 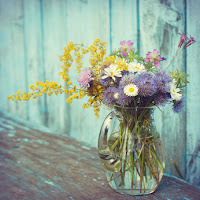 As I continued to pour my weary heart out to the Lord, He refreshed me and strengthened me. My emotions, which once weighed so heavy, became less oppressive. God gave me new perspective and I began to see that I was giving too much weight, too much authority, to the wrong things. He lightened my load by helping me to see the gravity of my own sin and leading me to confess it and repent from it, too. He helped me release the burdens of bitterness and anger I'd been carrying by compelling me to issue grace and love instead. Gradually those oppressive emotions began to lift and I took in deeper breaths of truth and grace. I exhaled praise and thanksgiving, and indeed began to run my race with renewed energy and vigor. I'm not telling you this with the expectation that this simple blog post will lighten the weight of whatever emotions may weigh you down today. I do hope that my sharing a little hope and good news with you will improve your perspective a little. But that's not my main goal. I just want you to know that things will get better...eventually. Well, things may not get better. But you will. If you'll keep walking with Jesus, keep focused on Him, keep your ear to His voice, keep your eyes in His Word and, yes, keep your heart soft to His touch...you will get better. Your emotions will lighten and stop ruling. Your grief will give way to a new day. Your despair will turn to hope. And your heart will heal. Take heart, my friend. If you're walking through these painful days with Jesus, healing is on the way. If you have experienced a deep hurt that is weighing you down today, I'd consider it an honor to pray for you. Just email me through my Contact Kay page. Share as much or as little as you need, and I'll be persistent in prayer for you. 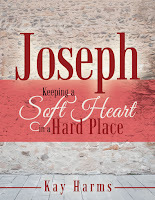 If this blog post hit a nerve, you might benefit from my newest Bible study, Joseph - Keeping a Soft Heart in a Hard Place. You can find more information here.